BRYAN EATON/Staff photo. 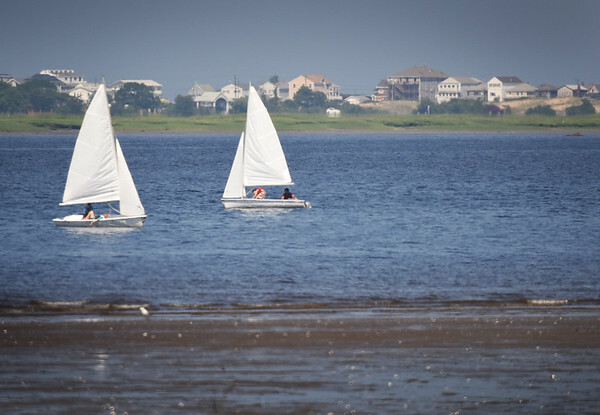 Sailboaters catch an east wind in the Merrimack River at low tide in a view from Joppa Park on Wednesday afternoon. The weather for boating should generally be good into the weekend though there is a chance of showers with the humid weather.